If you Google Shinji Mikami’s name, two of the first articles that come up (in the UK at least) describe him as the godfather of horror games. It’s not undeserved, he was the director on Resident Evil, after all. Nowadays, though, he’s at Tango Gameworks, previously as the director on The Evil Within, and now a producer on its sequel. He truly is one of the greats. Mikami is partly responsible for zombies being so popular, and that’s a great segue into looking at the best zombie games on PC. But, if given the opportunity, would he ever return to Resident Evil? After the success of Resident Evil 7 earlier this year, too, seeing Mikami at the helm would be grand. So, at Quakecon, he was confronted with that question: if asked to, and given complete creative freedom, would he direct Resident Evil 8? That’s all he had to say on the matter – he’s clearly committed to Tango Gameworks and The Evil Within 2 right now, but what a thought that is, eh? Mikami back in the director’s chair after Resident Evil’s return to form. 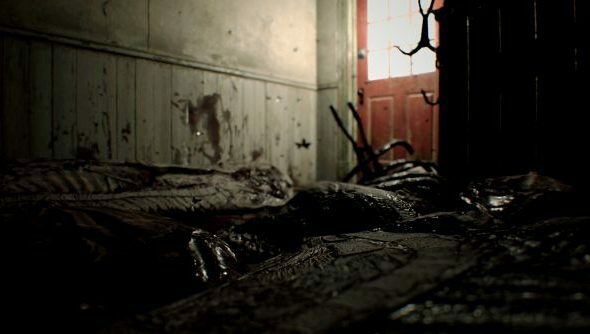 Of course, the director John Johanas, and co-writer Trent Haaga, for The Evil Within 2 both noted Mikami’s work on Resident Evil as being crucial to the horror genre being what it is today. They’re definitely not wrong.